The girls have the flu. So sleep has not been going so well this week. But let me tell you, give me the flu any day over Strep! They are clingy and needy, but still feel like playing and going about life as usual. The biggest change we have seen is their energy level. They go, go, go then they come and collapse on us to rest for a little bit then they are off again. So I made this simple tip pretty short since we are doing lots of cuddling here today. I would love to hear how other Moms and women have made life more simple! My simple tip today is pretty simple in itself. When the girls were younger they HATED to have their faces wiped after a meal. I was tired of fighting them every day so we started a new trend. We would carry them (away from us so we would not get dirty as well) to the sink. I would get a handful of water and rub around on their faces. They LOVED it, especially if a tapped on their mouths for a bit and let them make the "Bwahbwah" sound. Then I would rinse off their hands and dry them off. It was a perfect solution for us and it made our lives so much easier there for awhile. They don't mind their mouths getting wiped these days, but oh! How they would fight us when they were younger! 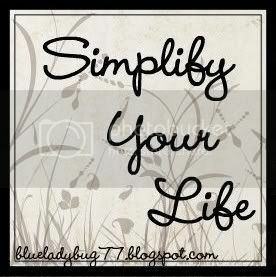 I have so many ideas about simplifying life I want to share. I have found them all over! I would love to hear how other Moms and women make their lives a little more simple. It can be anything at all! I know my previous 2 how focused on my kids, but if you have a great tip about cleaning out your car (I have one of these too!) or how not to let the mail clutter the counter up, share away! Wanna share?? Link it up, baby! Grab the code below for the button. Paste the code in the Edit Html tab on the post. After you write your post about simplifying your life and publish it, click on the title of the post in your blog. This should open a new page where that post is in the address. This is the link you copy and paste below. This way people can click on the link and it will take them directly to the info they are looking for. As in...always talking and talking. Zachary certainly got his motor mouth from me, according to my mom. I have been waiting to see if the girl's follow in our voice steps. And by the way...do anyone else's toddlers speak Japanese? I swear that is what it sounds like they are speaking. We do a lot of "Oh yeah?" "Oh, that is great!" "Really?" as they babble to us. Olivia babbles a whole lot. Abby says more actual words. They both can get their point across by pointing and babbling. I can usually figure out what they want even if they aren't saying actual words. Abby says, "Hush!" when Olivia is messing with her toy. Hee hee! They have the cutest way of saying yes. Abby says, "aHem". It started out as a little laugh that evolved into this. I actually got it on video along with her saying "OOoo" at the end. Yeah, thanks for starting her on Jelly Bellys, Daddy. She has SUCH a sweet tooth. Olivia says, "Hum" for yes. And sometimes she says "Yeah." but I couldn't get her to say it again. Lately their little words have blown up! I am pretty sure it will always be pretty chatty at our house. Here are some new cute video. The girls get down to Michael Jackson. In the last few seconds Abby does a really funny turn right to the music. When I asked people to de-lurk last week, I got a great response! Thank you so much! Part 1 Q&A can be found here. #4 from real life friend and former teaching co-worker, Rachel of The Bug's Life. I miss teaching; the kids, the creative lesson planning, the poster and big book making, the songs, the dances, calendar time, the connections, Writer's Workshop, Reader's Workshop, reading groups, handing out Cowboy Cash, making butter, green eggs and ham, center time, reading books, Name of the Day...I miss all aspects of the teaching process. I miss being part of a group of adults, being part of a team. #5 from Lisa at Sophie and Hannah's Big Adventure. I swear our girls are exactly alike. Sophie is SO much like Abby and Hannah has a lot of Olivia's qualities. I find myself nodding along to most of her posts, thinking "Yes! Mine do that too!" ~Do you take your girls to story time or group activities? Oh, I am so bad. I don't. I know I should. This is one of my goals this year. We need to get out of the house more. Honestly, I am a little terrified at the idea of me handling them on my own in public, especially when they are not contained in a stroller or basket. BUT, like I said, I will be working on this. I would like to do more playgroups and other things like this. #6 from Monica at The Jonas Family - Life with twin boys. 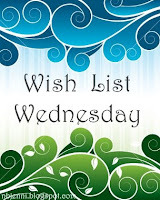 ~How did you do with the big list that you wanted to do in 2009? I think it was on the side of your blog for a while...did you get any of it accomplished and are you still working on it 2010? I am still working on it this year. In fact, I only got 13 crossed off. Ugh! You can see which ones on the left there. I am re-writing those goals for this year and hope to get more than that crossed off. It did help me to have that list reminding me what needed to be done. I think 1-50 should have been survive. #7 from my cousin, Brook at The Life of Little Lady England! ~When are you coming to OK for a visit? My last question came from Heather at 3 under 3. ~I am amazed by your ability to NOT be 100% crazy with all the strep issues. Did you have the appt with the ENT doctor yet? and to Anonymous, who just confused the crap out of me. My blog crush was one of the commenters. A favorite blog of mine, Your Home Based Mom, does a word of the year. She did one last year and I thought about joining in. All I could think of was “survive”, so that was my secret word for myself last year. And survive I did. But this year I felt a lot of things come together to play along with her, openly with accountability. Her word last year was Joy. Lovely word…one of my favorites, but it was not to be mine. My word has literally been popping up everywhere I go. There have been signs, literal wooden signs, with my word on them, ad campaigns, books, store windows, t-shirts, magazine articles, blog posts, the list goes on and on; each one with words of wisdom that center around my word. Last Fall I went to a craft fair with all kinds of merchants and vendors. There was a Vinyl Wall Decals vendor there and I stopped to talk, because you KNOW how much I love the wall words. After sifting through the sales items and the catalog, I knew I wouldn't be buying anything that night. She mentioned a free sample and I gladly accepted. 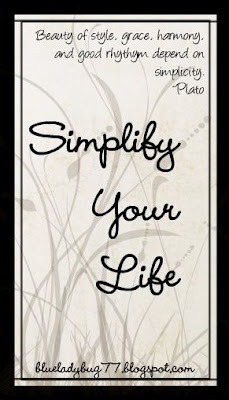 Simplify Your Life is born. So here's what I am thinking. We all need a little simplicity in our lives. It looks different for everyone. To me, simplicity is a lack of chaos. One of my goals this year is to simplify things in my life and I need your help. I need ideas and I am sure I am not the only one out there. I figured Thursdays are the best day to do this since it is the least used day for a meme. It doesn't have a cute little rhyme to it, does it? But that's ok! Share away! It can be anything at all. Leave it in the comments or post it in your blog. Let's have fun with it! I even made this nifty little button for you to grab. Ok, here's mine for this week. One of the ways I simplify my life is by sorting and rotating toys. We have a small toy store here in the house and for many months I picked up a ton of toys every day (or not, whatever). I knew something had to give. We already had this storage shelf and the colored tubs. I put anywhere from 5-6 toys in each tub. I made sure there was a stacking toy, a sorting toy, a musical toy, all different types of toys in each tub. I brought just that 1 tub down from the shelf every day. They get rotated each day so the toys are always moving. I also get one big toy down a day, like their ball popper or animal train. So, for the most part, I only have to pick up 1 tub of toys a day. Unless you count the 1000s of books they get out a day, but that is for another post. It has definitely made my life a little more simple. Your turn! I am going to try to get a Mr Linky up with this post but if it's not there, you know I ran out of time. *Dudes, if there are any of you reading, feel free to get in on this. It's not just for us girls. My fellow MOM and good friend hosts a fun post opportunity. I have been meaning to play along for awhile now so I am just going to jump right in. Except I want them in Chocolate Brown, please. I am in Tenn with my BFF, Farrell and her husband for the long weekend. I am hoping to get a little blog time in. Maybe so. All I know is I am going to sleep all night and eat food while it is still warm. I might even shower ever day. We are set up for massages. Ahhhh! Thank you SO much for everyone who de-lurked this week! Now on to the questions - Fun fun! Oh crap! Like I said in my comments I should have seen this coming from a mile away. And...how can I answer without hurting feelings? Because you know who you are, really you do. I know...you're thinking, me? Yes, you. I love your blog. I love your attitude and your sense of humor. Love love love love you!! How are the girls sleeping these days??? Even though you caught up on some previous posts I am going to answer this. We have felt like we shouldn't let the girls cry a whole lot at nap or bed time because of their sore throats...since last March. They have been sick off and on since then. Their throat cultures came back negative on Friday (whoo-hoo!). The specialist said for us to come back there to get a thorough culture the next time we think they have it. If they continue to get it, we will go ahead with tonsil removal. I am really really hoping it is gone for good. I think the Penicillin shots they got last week knocked it out. And I am going to stop here for now. I will answer the rest of the questions in the next post. If you have any more just leave them here or in the de-lurking post and I will answer them. Even if you don't have a Blogger account, you can comment as Anonymous and ask me anything. And you feel like it, you can actually put your own name so I know who is de-lurking. Last year I had several readers who came out and showed me some love. Some were new and some were regulars. Some have become regulars blogs that I read :-) Some of them, I am not even sure still read. And one of them? I have a secret blog crush on. This year I have decided to combine this post with a answering question session. I have never done this before so I know you all have those burning questions you want to ask. Like: How are you not completely insane? Heehee, how do you know I am not? Anything is up for discussion. Weeell...you know, within the PG-13 rating at the most. Abby tested positive AGAIN for Strep on Christmas Eve (yeah, that's not a place you wanna be an a holiday) The pedi put them both on antibiotics just to be on the safe side. On Monday, two days after finishing a heavy duty antibiotic, Olivia is now testing positive and Abby is negative. Both girl's throats are fire engine red and they are miserable. They each got 2 shots of Penicillin, but are not on any antibiotics. On top of that they have coughs, yucky coughs that end in throwing up. We are so tired. This is the reason I have been absent. I hope they bounce back soon and I can get back into the swing of things. We are going to an ENT dr on Friday to see what can be done for them. They have been fighting Strep on and off since last March. We are tired, so so very tired of it. And sleep?? Fo-getaboutit...only a few hours at a time then one or both of them are with one of us in bed and the other in the recliner. Infancy, anyone?? I took those 4-5 hours we were getting for granted that is for sure. I just wanted to check in really quick. I will be back soon with some cutey pictures. Oh, and terrible twos have hit Abby like a Mack truck. Holy Moly! !